Want dinner to be a breeze? 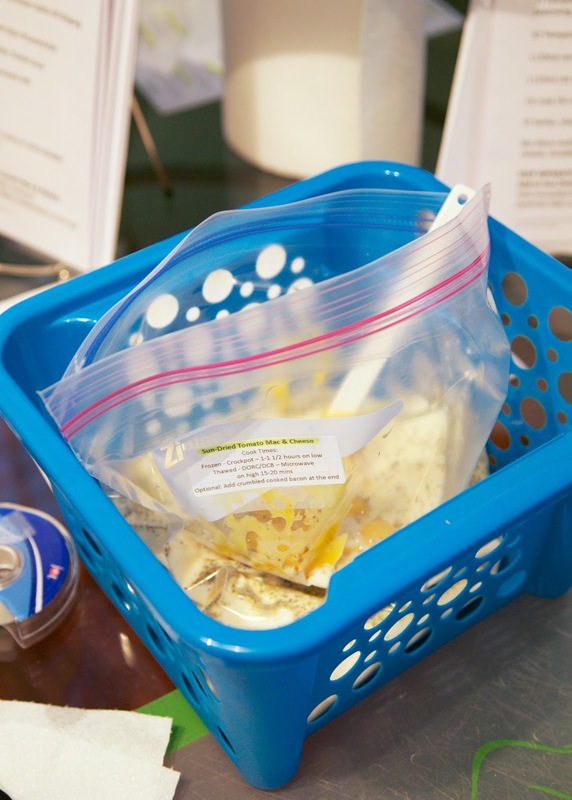 Take a Sunday afternoon and assemble these 10 kid friendly freezer meals. Pull out a bag in the morning and let the slow cooker work its magic! 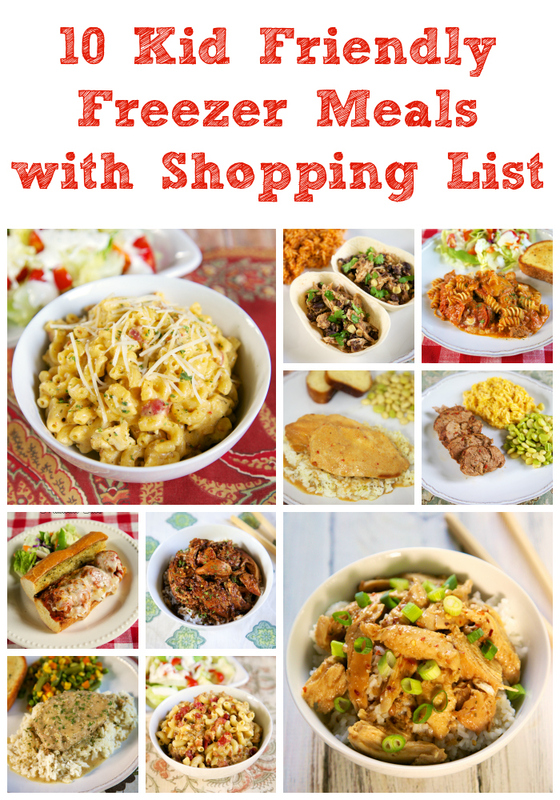 The shopping list above will make 10 freezer meals. That is 2 weeknights of dinner! If you have a smaller family, divide the recipes into two freezer bags. I suggest using a Small Plastic Basket to rest your freezer bag in while assembling. Set the bag in the basket so it doesn't dump over when you are adding the ingredients. 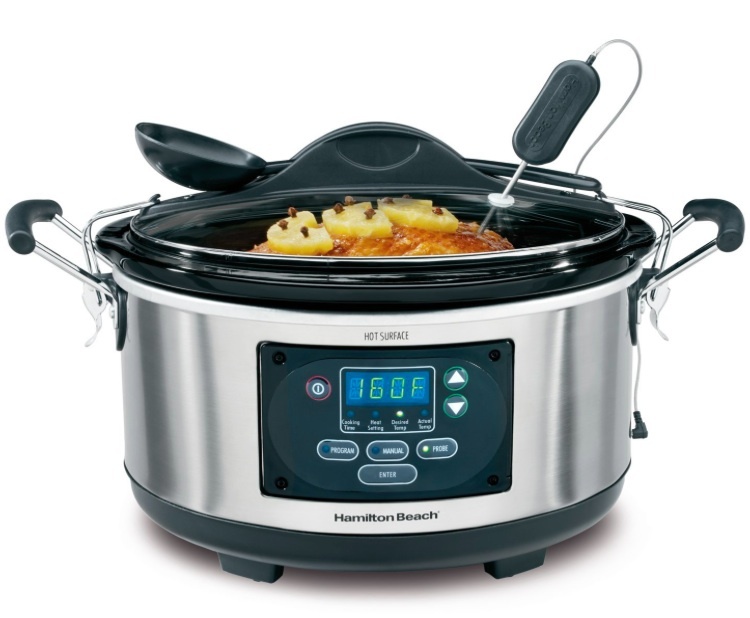 This is my favorite slow cooker. It has a timer and switches to low when the cooking time is done. I hope you enjoyed our Freezer Meal series as much as we did! These meals save so much time and money! I left several of these for Chicken Legs to eat while I was out of town. He was very appreciative! mmm, they all sound and look yummy! I have the same slow cooker-it is a good one! I am so doing this next week! Looks amazing! How long does each recipe stay good for in the freezer? Let me check the recipes. I might have swapped the tomatoes for Rotel. Do these need to be thawed before cooking? can you please tell me what seasonings you use? like BBQ seasoning, garlic and herb seasoning, asian seasoning, also I can't find the McCormicks Tuscan...where do you buy it? Thank you SO much! !